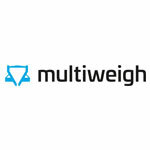 The MultiWeigh MW XV-Compact Memory is manufactured especially to be able to accurately and rapidly weigh small weights, with the highest specification capable of a huge 720 packs per minute. The machine’s speed combined with its extreme accuracy means you can weigh more packs than ever before without the risk of getting weights wrong. Its compact design also means it will take up far less space than other machines. 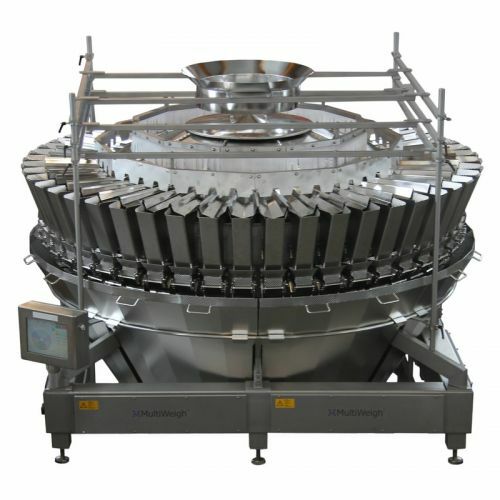 Why get a Compact Multihead Weigher with Memory Hoppers? Easy to use - our multihead weighers are easily programmed and controlled via a touchscreen interface. Each machine is also capable of storing up to 200 different recipes, so you can easily swap between products being weighed. Modular design - the modular design of our multihead weighers means parts can be removed and added with ease. If you need to replace something, you won’t need special tools to do so. Our machines also automatically recognise which part is being replaced, so you don’t need to reprogram or address, so you can get back to weighing in minutes. No springs - other multihead weighers use internal and external springs to operate hopper doors. Ours instead use the Direct Drive motor system. This means fewer moving parts, less chance of breakage and less maintenance for you. Low noise pollution - these machines get the job done without being too loud. All of our multihead weighers operate below 75 decibels, which is only about as loud as a vacuum cleaner or radio. Easy cleaning - compact multihead weighers are all built to the most hygienic standards and are IP67 rated preventing water ingress. 24 month warranty - we want to give you peace of mind in case something goes wrong, so we offer a full guarantee on all equipment for 2 years. 24/7 support - unfortunately issues don’t occur at convenient times, so we offer 24 hour telephone support to help if anything goes wrong. We also offer 24 hour call-out if required. Fix problems remotely - if needed our multihead weighers can be accessed securely via VPN from afar. This means if problems arise without an engineer to hand, many can be resolved without having to wait for one to get to you. How do I get a Compact Multihead Weigher with Memory Hopper? Just get in touch to order your multihead weigher today. All you need to do is let us know what specification you need or what you want to weigh. Not sure what multihead weigher is best for you? 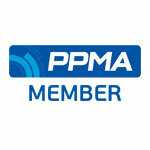 We’re more than happy to answer any questions you might have and advise you on the best machine for your business.